A 20 gallon aquarium is perfect for new aquarists; it’s large enough to have a nice selection of fish, yet small enough to maintain. 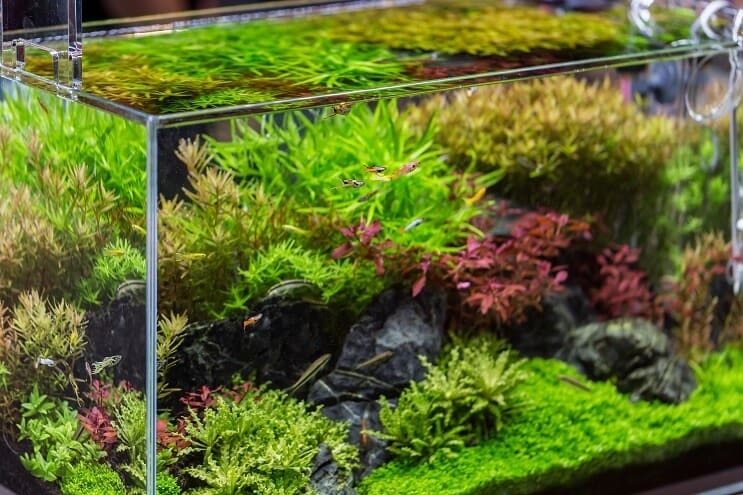 A tank of this size allows you to keep a wide variety of different fish, as well as some live plants and other inhabitants such as snails or shrimps. With hundreds of different tanks available, the huge variety in types of fish you can keep and all the equipment available, how do you know where to start? In this article we will talk you through some of the best 20 gallon tanks, explain how to set them up, give you stocking suggestions and more. What Fish Can You Keep in a 20 Gallon Tank? Which Is The Best 20 Gallon Fish Tank (Summary)? Whilst most beginners usually start with a 10 gallon tank, a 20 gallon aquarium is actually better suited for beginners. These tanks are often sold as part of a kit, which makes it easier for beginners as they don’t need to worry about what other equipment is needed. Most people don’t realize that the larger the tank, the easier it is to keep the water levels stable (a common problem most beginners have). As well as making a great beginner tank, these tanks also make the perfect quarantine for separating new fish. Or they can be used as a hospital tank when you need to treat fish away from the community tank. 20 gallon tanks are also ideal for seasoned aquarists with years of experience – they can be used to set up small biotope tanks, or they might be used as breeding tanks due to their perfect size. Most 20 gallon aquariums are longer in length than they are in height and width. The typical dimensions are 24(L) x 12(W) x 16” (H). 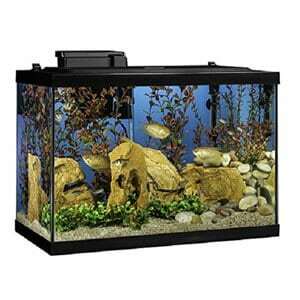 The two most common types of tanks are the above rectangular shape, or a cube shape and they come in acrylic or glass. This aquarium is perfect for beginners who are looking for a complete starter’s kit. 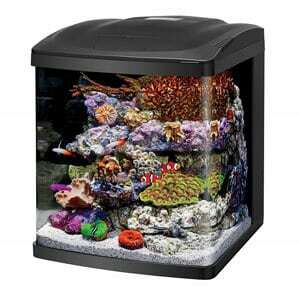 This complete aquarium kit includes a 20 gallon aquarium, a hood with integrated led lights, a heater and a filter. 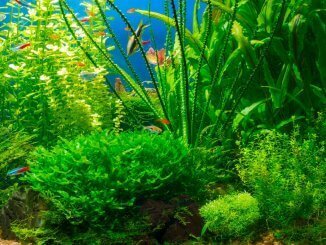 It also includes four artificial plants which are great for beginners who would like to experience keeping fish before delving into the world of caring for live plants too. All you need to do is add the gravel and the fish and you have a full set up – it doesn’t get much easier than this. It comes complete with a lifetime warranty, and a few other crucial pieces of equipment such as a fish net, aquasafe and tetramin sachets. Aquarium Dimensions: 24.2″ x 12.4″ x 16.7″. Hinged hood for easy maintenance. Includes pretty much everything you need to get started. Thermometer sticks on the outside of the tank. The plants are quite obviously artificial. The lights aren’t very bright. A great alternative to a glass aquarium which provides more strength and weighs less. This tank is available in a number of different sizes and shapes. The 20 gallon version is available both in a rectangular shape and a hexagonal shape. 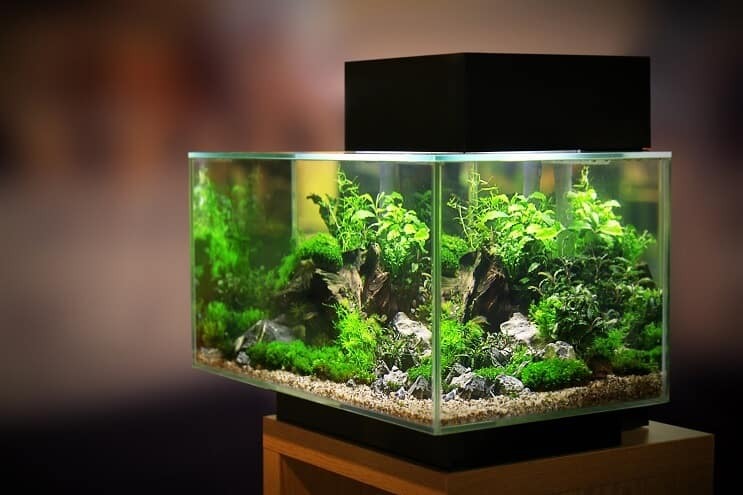 It is an acrylic aquarium, which weighs half as much as a glass tank and is also much stronger. This means it is less prone to cracking or chipping and is ideal for families with young children. SeaClear are one of the most well-known and reputable companies in the aquarium industry; so you can expect this tank to be the best quality. The aquarium comes with a reflector and a 15″ light fixture, which makes this tank ideal for those people who want to choose all their own equipment. Aquarium Dimensions: 24″ x 13″ x 16″. Lighter and stronger than glass aquariums. 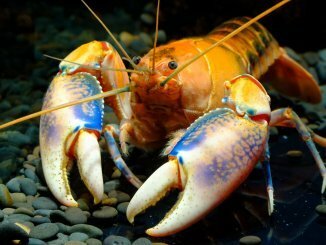 Made by SeaClear; one of the most reputable companies in the aquarium industry. Clearer and better view than glass tanks. Rounded corners – ideal safety feature. Main openings aren’t very big so can be difficult to feed fish. Enclosed top makes it difficult to clean and maintain. A great quality and sturdy tank to use as a basic base to create your own unique setup. This simple 20 gallon aquarium provides you with the base you need to create your own setup. It gives you complete freedom over the quality of the equipment that you want to include. You can choose to turn this into a high quality aquarium by adding top of the range heaters and filters, or you can keep it simple if you’re just looking for a quarantine type tank set up. 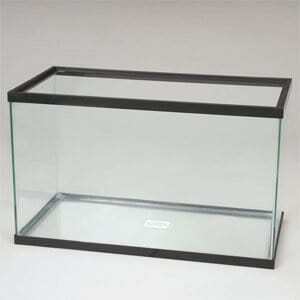 It is a well-made, quality glass tank with a triple strength bottom. All the sides are joined together with silicone rubber, designed to last for years to come. Aquarium Dimensions: 24″ x 12″ x 16″. Allows you to add your own equipment. Excellent price for the quality of the tank. Can be used for multiple things, from keeping fish to reptiles. You’ll need to find a hood that fits it. Some models are made with black silicone, some are made with clear silicone. A unique and great quality starter kit for a saltwater or freshwater tank. This tank is slightly different from the other options we’ve shown you here. It comes with vibrant LED lighting which can be set to any one of the three settings; bright white, sparkling blue or color enhancing. The lights also have a 24-hour timer and are set to automatically replicate the natural day cycle; with a 30 minute sunrise and sunset setting, and a 60 minute moon rise and moon set setting. It also has a built in filtration system. This is a new style Biocube, and they’ve added and additional 2 inches to the height, making their new aquariums larger. 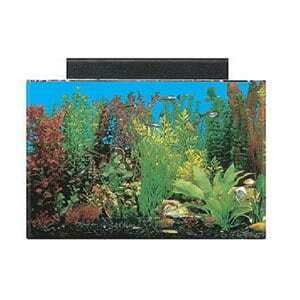 Aquarium Dimensions: 15″ x 16.8″ x 17.5″. New model creates more space. Space for skimmer and UV sterilizer in the back compartment. Not as much width as rectangular aquariums. Fan inside the lid can be noisy. Small back compartment makes it tricky to changes sponges. Lights are suitable for plants that require more intense lighting. Pretty much every fish tank requires a filter, and there are a number of reasons filters are needed. Their main job is to remove the debris from the water. Secondly, they help to aerate the water so that your fish can breathe. And thirdly, they remove the buildup of toxins that have built up. Your filter will need regular maintenance, and the media which you use in the filter will need replacing according to the manufacturer’s instructions. This is normally done every month or two. Depending on the type of fish you want to keep, you might need a heater. 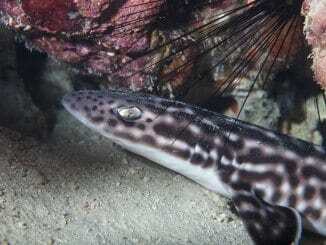 Generally speaker, there are a larger variety of fish available to you if you choose to go down the tropical tank route, using a heater to warm the water. Aquarium lights have a number of purposes. They can help to show the colors of your fish, as well as light up the tank so you can spot problems easily. However, the main reasons for needing lights in your tank, is for your fish and plants; it helps regulate them and keep their conditions as similar to those they experience in the wild. The type of lights that you need will depend on the type of fish and plants you want to keep. Some plants require more light than others. For example, hornwort doesn’t require much light. 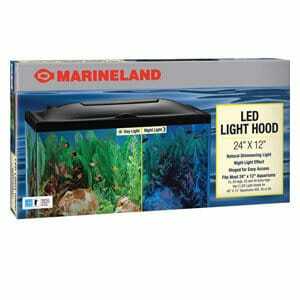 This hood has both day time and night time in built LED lights, suitable for most 20 gallon setups. Most kits will come complete with a hood, but if you buy a tank on its own you’ll most likely need to find a hood to fit it. A hood is necessary for most set ups not only to stop any jumping fish (such as Killifish) escaping, but also to prevent anything falling into the tank which shouldn’t be in there. It’s also advisable to keep a hood on to stop too much water evaporation. Research is the most important thing to do when it comes to stocking your tank. You need to ensure that all the fish you want to include are compatible with each other, that they won’t grow too big for the tank and that they can all live in the same water conditions (pH and temperature). The options really are endless as to what you can keep in a 20 gallon aquarium. Pretty much any small fish can be kept in a tank of this size. We’ll give you a list of the best fish to keep in this tank, along with their size and some preferences. Guppies – grow up to 2.5″, most people choose to keep only male guppies due to their vibrant colors. Platies – active and fun fish that grow up to 2.5″. You should keep two females to every one male. Swordtails – grow up to 4″, peaceful in temperament but require lots of swimming space. Mollies – available in a range of colors, grow up to 3″ and are peaceful in temperament. Neon Tetras – only grow up to 1.25″, beautiful coloration and should be kept in schools of at least 6. Harlequin Rasbora – growing up to 2″ in size, these fish prefer to be kept in schools of around 8. Zebra Danio – these beautiful striped fish grow to 3″ and should be kept in groups of 6. Cory Catfish – this gentle bottom dwelling species can grow up to around 2.5″. Dwarf Gouramis – these beautiful 2″ fish will add a splash of color to your aquarium. We mentioned briefly before how important it is to match fish together so that you can create the ideal environment. For your ease we’ve listed four setups ideas that would work well in a 20 gallon aquarium. Perhaps one of the most spectacular tanks you can keep is a species only tank. This allows you to focus on the exact requirements for that particular species, and hopefully bring out their best colors and behaviors. Some examples of species only tanks include Neon Tetras, Killifish and a Betta sorority tank. As long as the species don’t grow much bigger than 3-4″, you can use your aquarium to set up a breeding tank. Most livebearers breed relatively easily, examples include Guppies, Platies and Swordtails. If you want more variety in your tank, you could choose a number of small peaceful fish and create a community. As long as all the fish you include thrive in the same conditions, you shouldn’t have any problems. 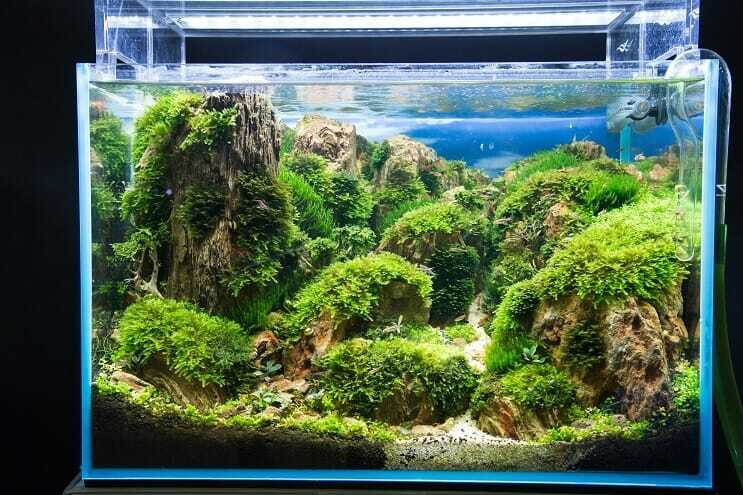 Some people choose to create a biotope tank, which is a tank which mimics a particular area or body of water. 3 Guppies, 2 Platies and 2 Mollies. 5 Neon Tetras, 5 Glowlight Tetras and 3 Black Phantom Tetras. You might also want to add some shrimps and/or snails to your community set up. You really don’t have too many options if you want to set up a cold water aquarium. One of the most popular cold water fish is the goldfish, and there are a variety of fancy types available. However most of them require a minimum of 20 gallons per fish, so you’d be limited to having one goldfish. Firstly, give your tank a thorough clean, either just with a cloth to remove dust if it’s a new one, or with white vinegar and hot water if it’s used. Once your tank is clean, you need to decide exactly where your tank will be placed. Choose a level surface, away from windows and radiators. Add the gravel to your tank, and put all your equipment in place (don’t turn any of your equipment on yet). Place a bowl on top of the gravel, and start adding water to your tank, the bowl helps reduce the impact of the water on the gravel and stops it from moving around. Once your tank is full, add the plants and any decorations. You can also turn your equipment on at this point. Dechlorinate the water and add a bacteria starter (this is optional). Most people presume that if you add a bacteria start you can add fish in a day or two, this is not true. You need to cycle the tank properly. This means letting a good bacteria bed establish (this will help take care of toxic compounds such as ammonia and nitrites). This process can take anywhere up to 6 weeks. To add your fish, float the bag in the water for 15-20 minutes, and then add a cupful of the tank water to the bag every 10 minutes. Once the bag is full and they have adjusted to the temperature of the water, you can add the fish to your tank. The tank you choose will depend on what you’re looking for, your budget and the purpose of the tank. If you want a relatively cheap complete kit set up, which you don’t have to put much thought into, then the Tetra is the right choice for you. If you’re not working towards a set budget, and want to splash out more, the SeaClear or Coralife aquarium will be a better choice. All of the tanks we’ve listed here would provide you with an ideal base to start your 20 gallon set up.